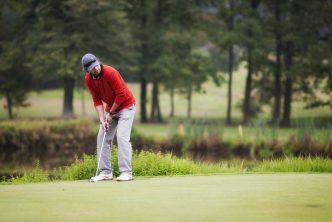 Looking to lower your scores this season? We’ve picked out the 4 best laser rangefinders for 2019, to ensure you get an accurate yardage on every shot from tee to green. 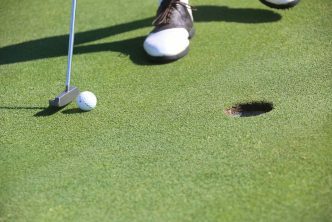 When starting out in golf, your main concern will be making decent contact with the ball, and advancing it towards the green. 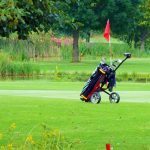 Laser rangefinders are by far the most accurate way to measure how far out you are on any given shot (we also have a guide to the best Golf GPS watches in 2019). Just point your rangefinder at the flag, pull the trigger (or press the button), and you’ll get an exact yardage on the display. 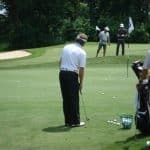 All that’s left to do is select the appropriate club for the distance, line yourself up to the target, take a deep breath, and execute a perfect golf swing. Let’s take a look at the 4 best rangefinders available in 2019. 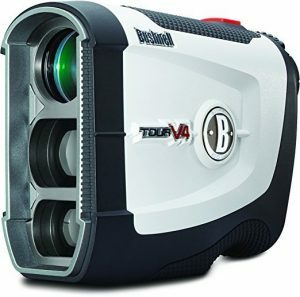 If we were to pick out the laser rangefinder that packs in the most features for the best price, our choice would be the TecTecTec VPRO500. So good they named it 3 times! The VPRO500 can measure up to 540 yards, with accuracy within one yard. That’s going to be enough to get an accurate distance on most par 5s. Why is that important when even DJ can’t hit the ball anywhere near that far? 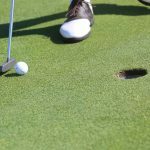 Because you’ll often find that the actual distance of a hole will vary from what’s printed on the scorecard, depending on how the course is set up that day. 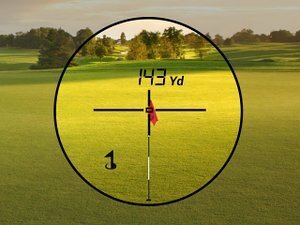 Let’s say the actual distance is 15 yards shorter. That might be the difference between taking a driver and a 3 wood off the tee to put you to within your favourite yardage for your approach shot. Focus on your target (with up to 6x magnification) and you’ll get an accurate distance displayed through the viewfinder. The VPro500 is ‘weather proof’ but we would hesitate to pull it out the bag in a heavy downpour. 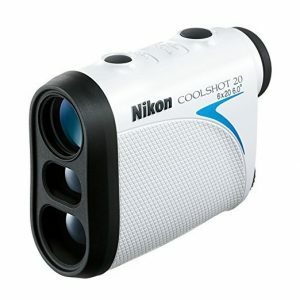 If you need something truly waterproof, then you are better off going for the Nikon Coolshot 20 (#3 on our list). The Bushnell Tour V4 Jolt replaces the popular V3 and includes some extra bits and bobs that make it a worthwhile upgrade. Firstly, it’s lighter and more compact. In fact it’s now small enough to fit in your pocket, which will save you unzipping your golf bag before every tee shot or approach. It also has a neat Fast Focus system, which lets you fiddle with the focus using the same finger you use to fire the laser. Range wise, you’ll be able to comfortably pick out a flag 400+ yards away (again accuracy is within one yard), and you can zoom right in on that flag using the built in 5x magnification. Note: There’s also a premium, Slope version of the V4 Jolt, which will adjust yardage based on the hole’s incline/decline. But bare in mind that this is not legal for tournament play, so you’ll need to turn that setting off in competition. Still, it’s a very useful feature for pre-tournament practice, partiularly if you play on a hilly course. Actually, our main gripe is that they didn’t include the Slope function as standard. Everything else is really top notch here. Next up we’ve got the Nikon Coolshot 20. Nikon are of course famous for their digital cameras, so it’s no surprise that the optics on the Coolshot 20 are impressive. You’ll get 6x magnification that’s accurate up to 550 yards. Unless you happen to be playing at Augusta (where the longest hole is 575 yards fact fans) that’s going to be plenty far for any par 5. The inbuild ‘target priority system’ will automatically pick out a flag from the background and lock on, displaying the yardage in the viewfinder. Although admittedly it will take a little longer to find it from 200+ yards out. Like the Bushnell, the Coolshot is slim and lightweight enough to fit easily into your trouser pocket, and the white casing is waterproof. Good to know if (like me) you’re an all weather golfer. A great little laser rangefinder from a well known brand, and available for a surprisingly affordable price. As I mentioned above, it can be a little slow to acquire the target from more than 200 yards out. But that’s really nitpicking as we’re talking an extra couple of seconds at most. 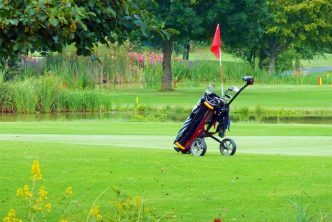 Certainly nothing that’s going to hold up your round and get your playing partners wound up… that’s a job for my 15 practice swings! 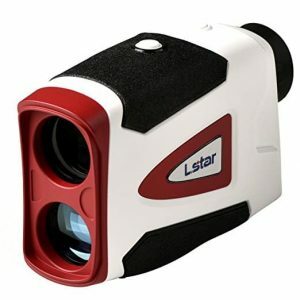 If you’re looking for an inexpensive laser rangefinder that will do the job, then the Lstar is a good option. It’s around $50-$100 cheaper than the other rangefinders on our list (often available for under $100), but still has some pretty impressive specs in terms of range and accuracy. In theory you’ll get up to 656 yards with 7x magnification, but we found that accuracy was slightly off for anything above 250 yards. Certainly when compared to the other rangefinders on our list. But really we’re only talking a yard or two, so unless you need to be super precise don’t let that put you off too much. 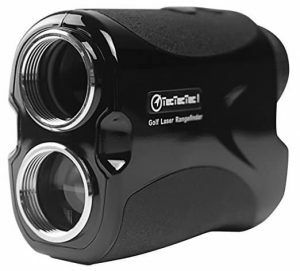 The Ltec is very simple to operate, and like most modern rangefinders, lightweight and compact. It’s also sealed and weatherproof, but like the TecTecTec we wouldn’t be super confident in very heavy rain. A light shower shouldn’t cause you any problems though. Aside from the slight dip in accuracy, you’ll need a steady hand to get a lock on and reading. Particularly when zoomed in to full 7x magnification. But for a cheap golf laser rangefinder, it’s hard to pick out too many faults and the Lstar certainly won’t disappoint. That’s it for our rundown of the best golf rangefinders in 2019. 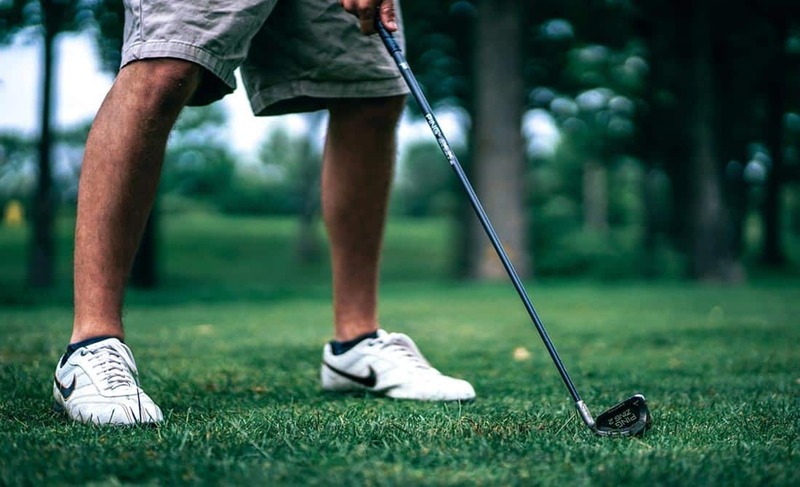 Good luck on the course, and if you need some tips for lowering your scores this season, then check out our swing tips here.